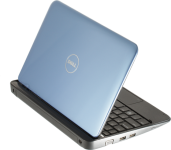 The Dell Inspiron series are a line of ultra-thin economical netbooks that are small in size yet you’re not missing out on anything. Available in many vibrant colors, they are packed with fun features. With a simple memory upgrade, you can improve your netbook’s performance and speed.